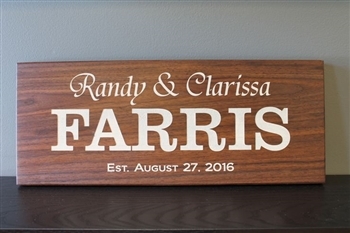 Our Wedding Name Plaque makes an impressive wedding gift. Not found in dept. stores or big box stores. Let everyone know your new married name and date of the big day. This solid walnut plaque measures a large 18" wide x 7" tall. It will look perfect on your mantle, shelf or hung on the wall. We engrave the happy couple's first and last name in script font and the surname in a large, bold font that is guaranteed to impress. We color-fill it by hand it white to make it pop. 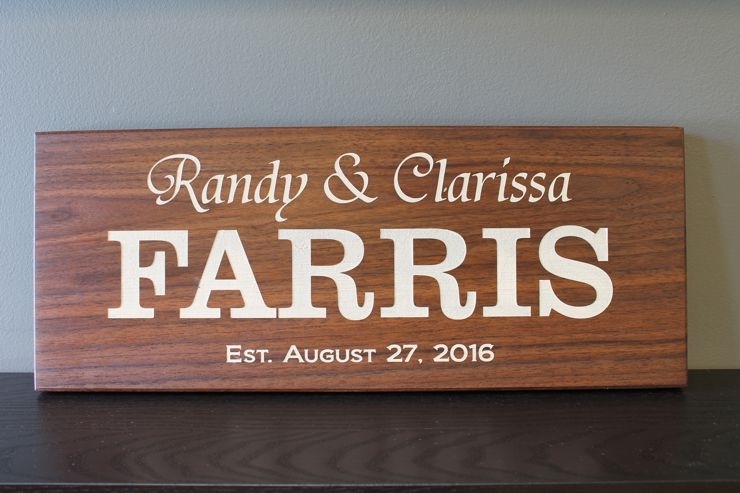 This handsome walnut plank will last forever as a memorable reminder of the wedding day.